The Carmel Office Suites website was developed for the office building that Simplexity Marketing Group is housed in. 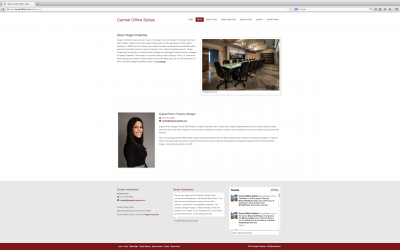 It was a proof of concept to demonstrate how a website could be utilized to showcase available office suites with details about costs, dimensions and amenities. 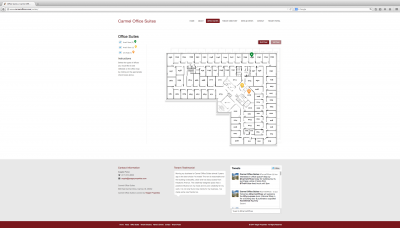 Additionally, many visitors to office buildings are in need of assistance in locating the correct office. 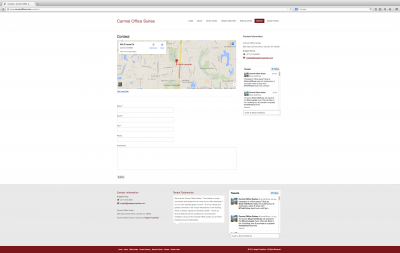 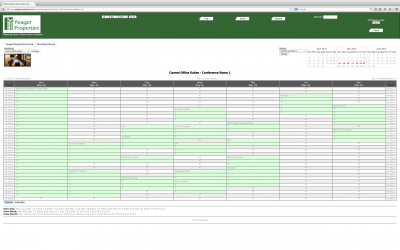 The tenant search feature on the website was designed to easily resolve that problem. 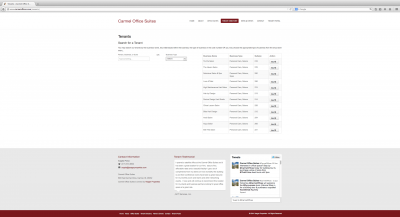 For visitors at the location, an internal tenant search setup would be available at a kiosk at the front of the office building. 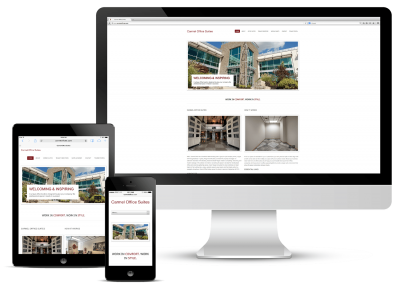 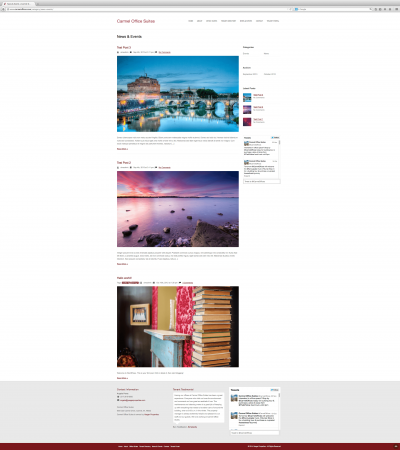 The site was designed to be responsive to accommodate the growing needs of the mobile web market. 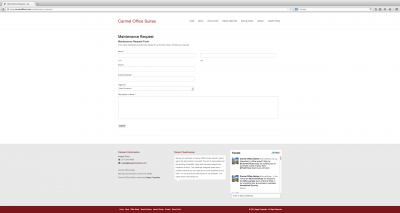 Many of the current tenants of the office building are startup companies and salons or spas so landing pages were developed to address the information about whether Carmel Office Suites would be a good fit. 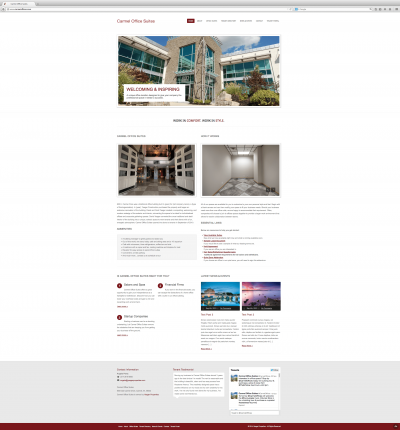 Our photographer, Jason Lavengood, shot the photos for the site.